Nature is full of all sorts of wildlife. Some of it is, of course, lovely, charming, and majestic, while other kinds not so much. 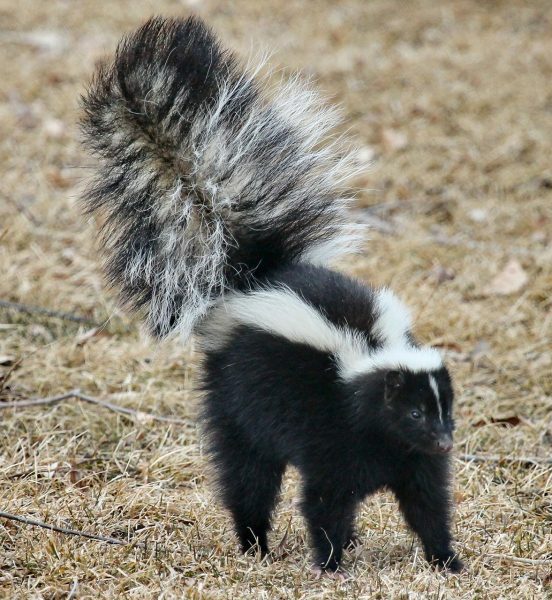 One of the less amazing creatures in the wild is the skunk. 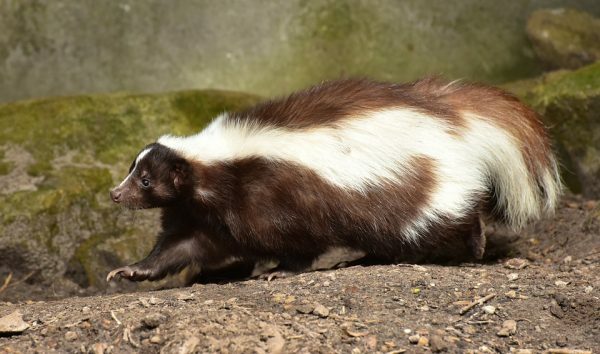 The skunk is actually beautiful to look at, though it is not known for its social skills. 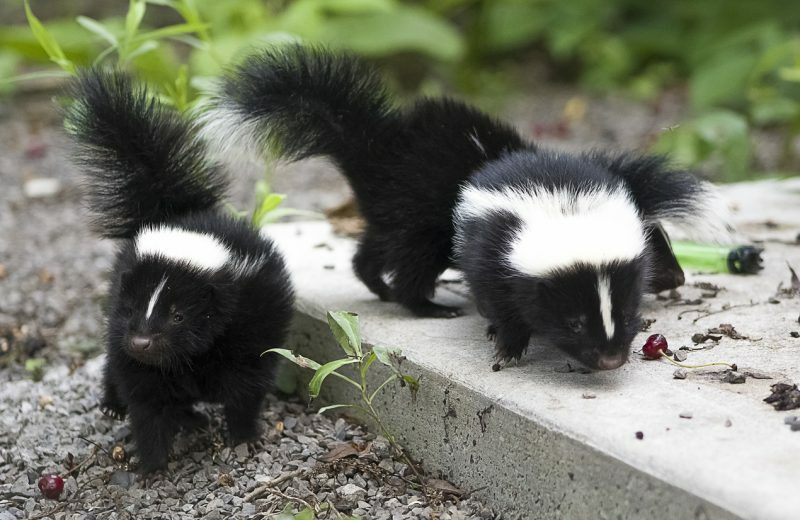 The skunk smell is the worst part of a skunk. Anyone who has driven on a highway has smelled the scent of a dead skunk on the side of the road. The smell is overwhelming. 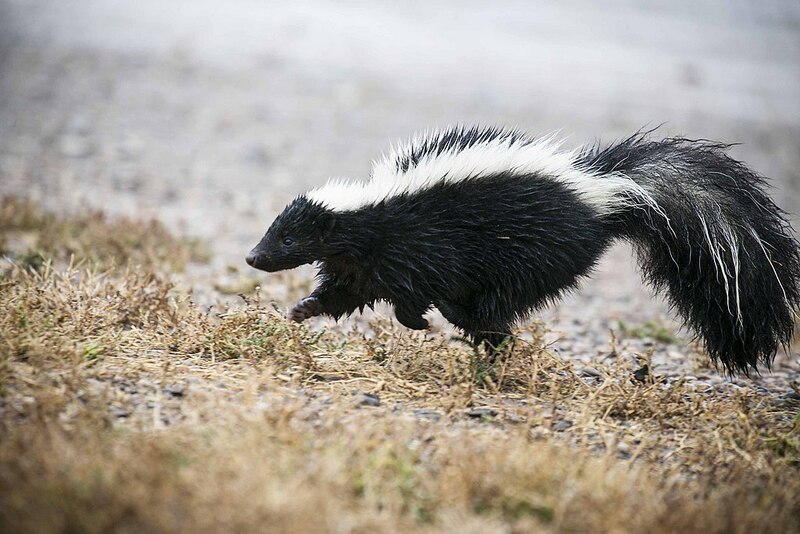 Unfortunately, when you are out on a hike, it can be too easy to catch a skunk off guard, forcing them to release their scent in your direction while they make their grand escape. The smell, once it is on you or your dog, will follow you until you remove it properly. This is what you need to do if you happen to get sprayed by a skunk. 1. Can you avoid it? Before we look at what to do when you are sprayed, the first question is how to avoid being sprayed in the first place. Skunks are nocturnal by nature and are more active at sunset and sunrise. They have poor eyesight which is why they can be easy to startle, but they do have good hearing and smell. Even when they aren’t spraying, you can usually smell that one is nearby. Be careful around dusk and dawn when you are hiking in the woods and keep your nose alert. Remember not to panic if you do get sprayed. The spray is not a poison. 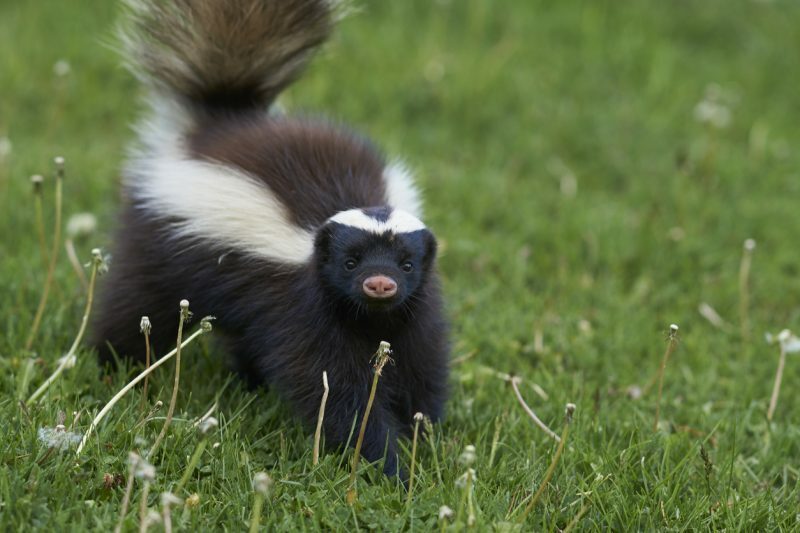 It is the skunk releasing its scent from glands that use a sulfur compound, creating an awful, but removable, smell. 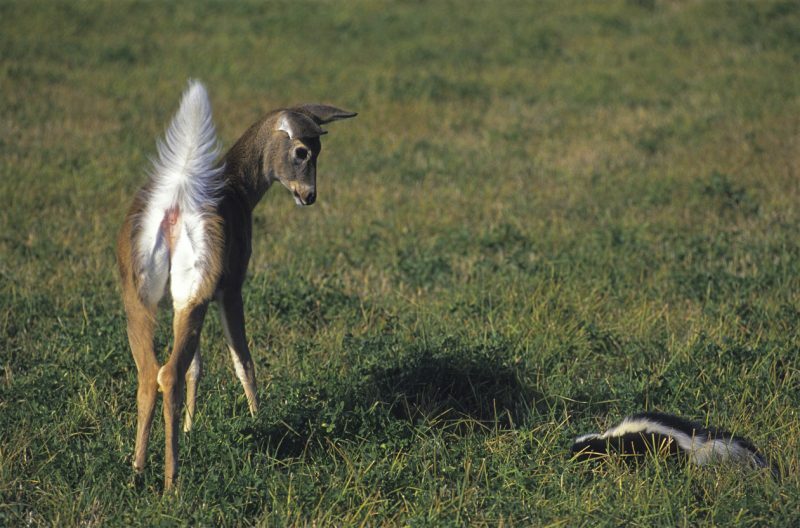 A young White-tail Deer buck is surprised by a Striped Skunk in Montana. The old suggestion was to use tomato juice to remove the smell. The theory was that the acid of the tomato would be enough to dissolve the smell. Unfortunately, while it may remove some of the scent, the smell will still linger to some extent until it is removed thoroughly. The scent is unlikely to be on your hands. You can keep yourself from spreading the smell further if you keep your hands covered when you are cleaning either yourself or your dog. Keep contact with the sprayed area as little as possible. 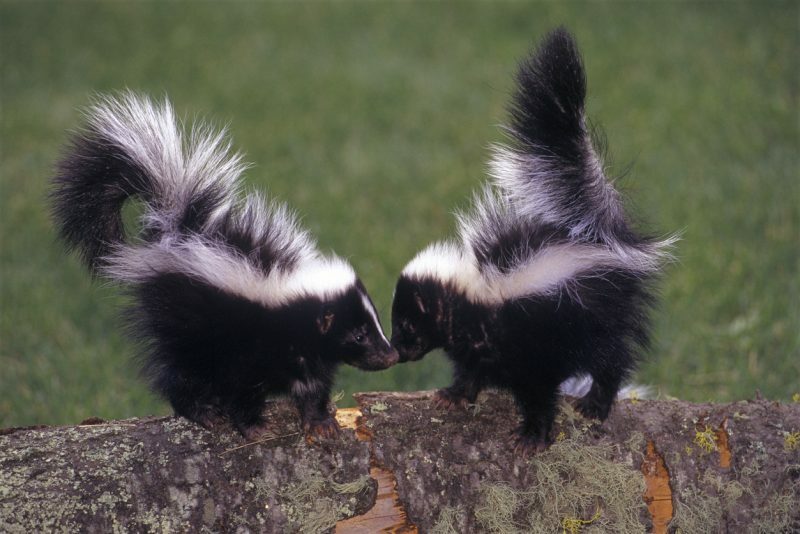 A pair of young Striped Skunks in Montana. It is better if you don’t attempt to rinse off the smell first. After being sprayed, mix the formula and get it on you immediately. You need to use it like a shampoo or body wash. Let the mixture sit on your skin for 5 minutes and then rinse it off. This is the same if a dog is the one who was sprayed. These furry creatures look adorable, but you don’t want to startle them. 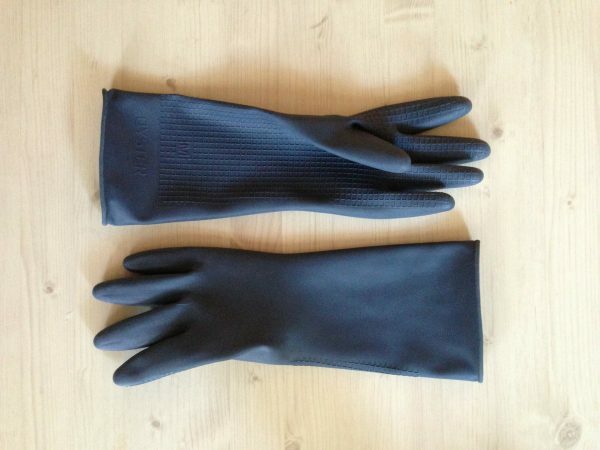 If you are sprayed, you should try to wash your clothes as early as possible. You cannot leave your clothes to sit if you have any intention of keeping them. Your regular laundry soap could be good enough to take out the smell if it is not too bad, but it would be a good idea to add some pre-wash spray on and maybe even a color-safe bleach in the wash. Shoes may be trickier if they are what was spayed, but try using the cleaning solution on them and spraying them with a garden hose for rinsing. If it goes well, your shoes may be salvageable. If you have a good story to tell or blog let us know about it on our FB page, we’re also happy for article or review submissions, we’d love to hear from you. We live in a beautiful world, get out there and enjoy it. Outdoor Revival – Reconnecting us all with the Outdoors.